I recently had the trip of a lifetime to Brisbane and Sydney Australia to attend my brother’s wedding. Australia is AMAZING. I wish it wasn’t such an amazingly long plane ride- because it is a fantastic place to visit. People are incredibly friendly everywhere, it is clean, it’s easy for Americans (save for the driving on the wrong side bit) with no language barriers- and there is SO much to do. Honestly, I feel like we barely scratched the surface of Brisbane and I wish I had a chance to see so, so much more. I know why my brother loves Brisbane so much (other than the fact that his gorgeous wife is from Brisbane) – it really is a fantastic vacation spot. And while I didn’t have my kids with me, there were tons of activities kids would love- especially our trip to the Lone Pine Koala Sanctuary! During our trip to Brisbane, one of the things I most wanted to check out was Lone Pine Koala Sanctuary. I had read about it online, and one of my friends had just been through Australia and loved it. Since koalas, kangaroos and dingoes are something of a rarity in Colorado, I was dying to go and check them out. 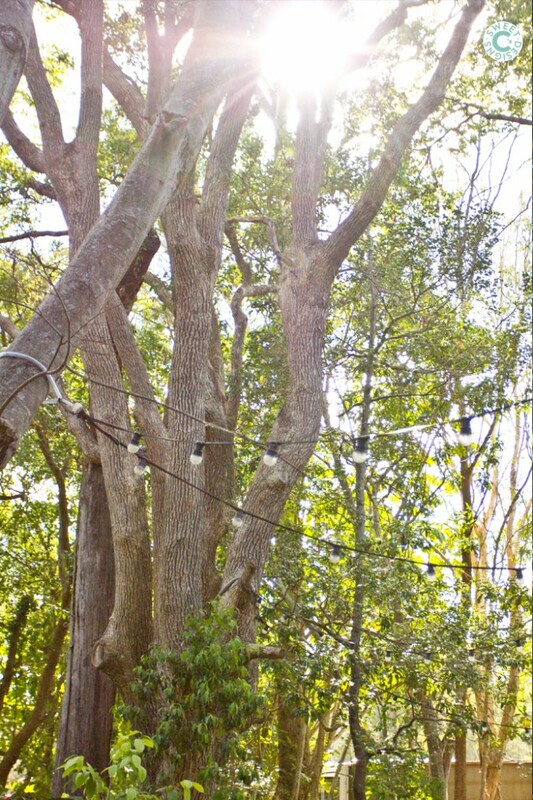 Lone Pine sits in the suburbs of Brisbane, surrounded by tall, gorgeous trees. 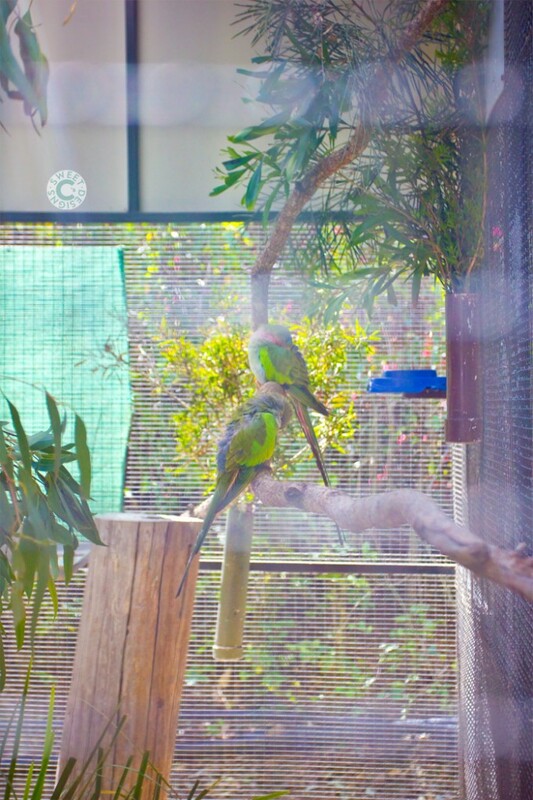 The sanctuary itself is well maintained, clean, and provides a ton of information on native Australian animals, their habitat, and efforts to keep the populations healthy. We happened to be there the same time as about 10 groups of schools, as well as a ton of other tourists- but other than the long queues to buy lunch and a koala cuddle ticket, there was plenty of space for everyone to spread out, and it never felt overly crowded. 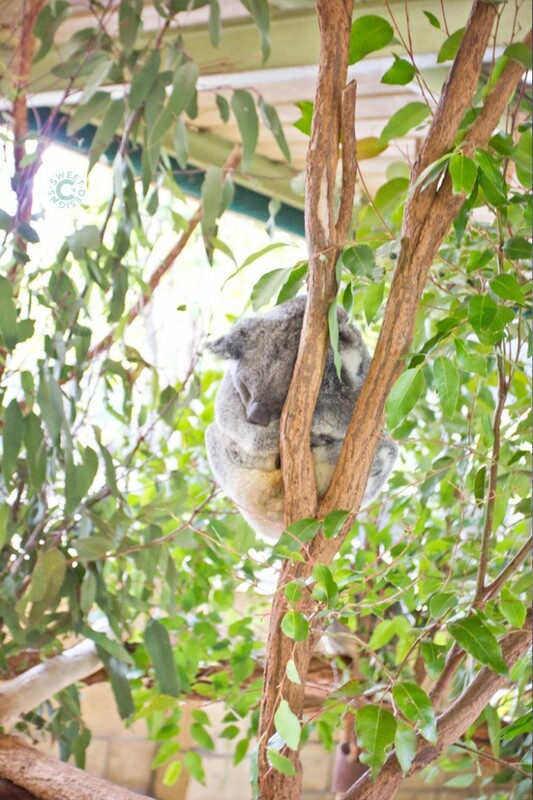 As you walk through the sanctuary, you’ll pass koalas sleeping, feasting on eucalyptus and hanging out in stands of trees. It’s awesome to be able to get up close to these little cuties! They are grouped by age, some in preschool, some kindergarten, some older- interspersed through the park so you’re never too far away from the next opportunity to check out these furry beauties. They have lots of exhibits of Australian animals- from birds and bats to wombats, tasmanian devils, and lots of cuddly koalas and kangaroos. As you walk inside, you’re greeted by the bats, and then other Australian birds- cockatiels, kookaburras, and . You can then check out some little platypus (platypi? platypuses?) in a small, dark room. We then circled back to see the Tasmanian Devils (who look cute, but the multiple signs around the enclosures reminded us they are, in fact, quite vicious and not to put our hands anywhere inside the enclosure). My family spent a while checking out all of the gorgeous birds, but I chose to speed past them. They were gorgeous- don’t get me wrong- but I have an unnatural fear of birds. In college, my roommate had a cockatiel who was depressed and picked out all his feathers. He also screamed nonstop and would break himself out of his cage and run around trying to bite us. The dingoes were awesome. 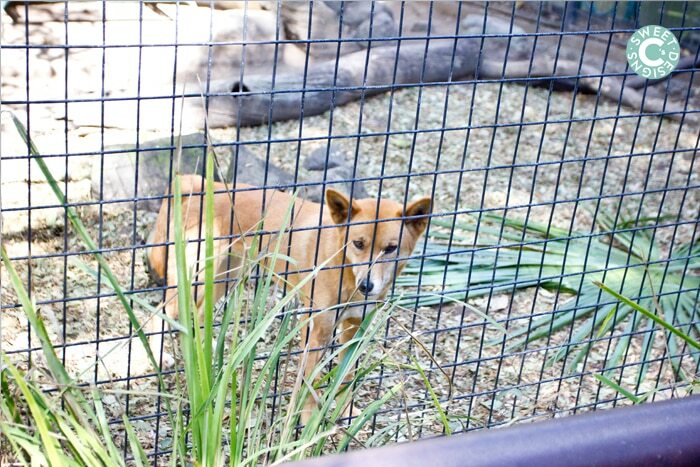 The dingos here have incredibly shiny coats and were pretty engaging as you walked by. We were getting a bit hungry at this point so we checked out the cafe on site. Let me tell you- we didn’t expect much, but their food was actually pretty good. While the line is long, it was worth it. 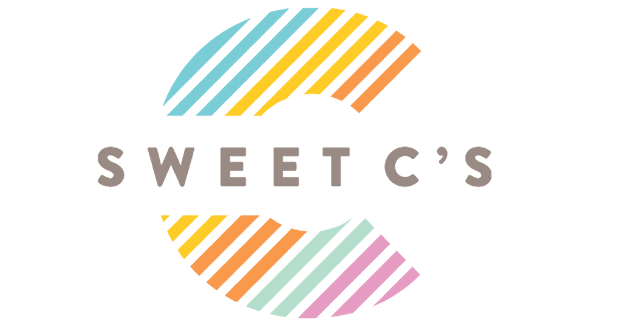 You also have to head into the cafe to buy tokens to cuddle koalas as well as the bags of kangaroo feed- so do yourself a favor and buy lunch and your koala ticket at the same time. 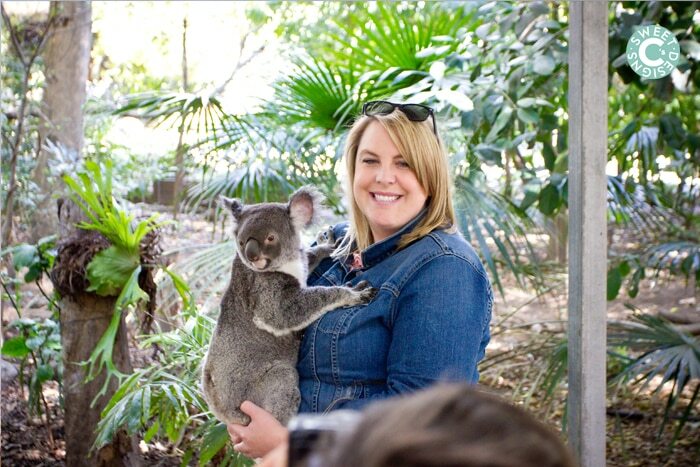 While the sanctuary itself isn’t super expensive, it is an additional charge to hold a koala and get a photo. We decided it was worth it (we’re only in Australia once, after all! ), but if you have a big group, know that it will come with a big price tag. Now- onto cuddling the koalas. These guys look cute, and are pretty drugged up on eucalyptus gum into near-narcoleptic sedation- but they are wild animals. With teeth. And long, long claws. And you know, even though they aren’t bears, the moniker kind of sticks and you’re thinking, I’m going to be holding a little ball of furry fury! And then the koala in front of us (who seemed pretty sketched out by the girl ahead of us’ puffy jacket) bit a trainer’s finger. The trainers are awesome and watch each koala closely for signs of stress, and each koala only “works” 30 minutes a day. They’d frequently whisk away a koala and bring a new one over to be sure no visitor (or koala) was stressed or unsafe. So, I’m standing there, trying to not look like I have 45 chins in my photos holding the koala, not freak the koala out (they set the koalas very gingerly into your hands, have you stand a specific way, and tell you not to make sudden moves), and not have the koala see my 45 chins and think they were a snack, all while trying to look at the photographer and my dad who were taking shots without looking incredibly derpy. I ended up looking funky in every picture. But- who can say they took pictures holding a koala? Not many of my friends… so, you know, be kind and all. After our koala “cuddle”, we headed straight for the kangaroo and emu park, which is where we spent the most of our time. With all the other animals at the sanctuary, you were an observer. 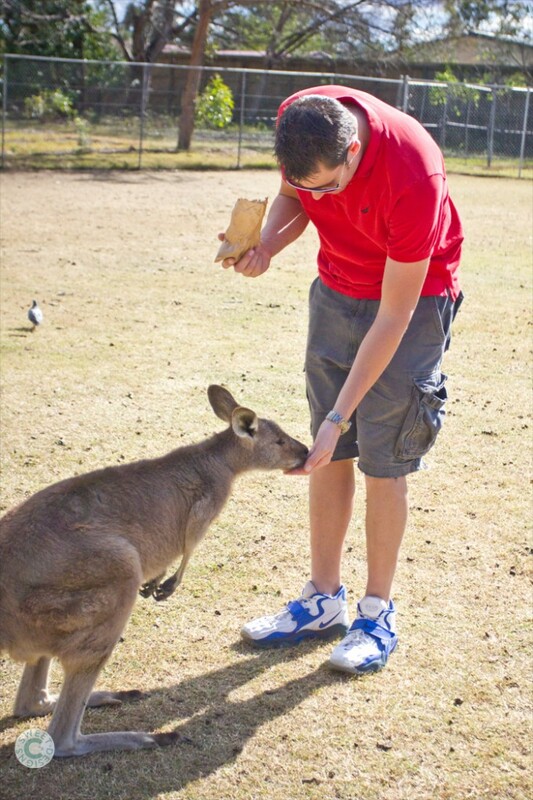 In the kangaroo area, we were allowed to pet and feed the kangaroos. 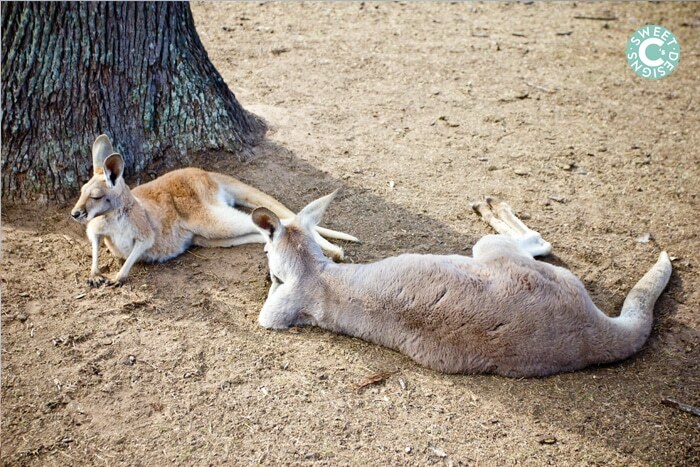 There are sectioned off areas where kangaroos who were tired, needed a nap, or just some shade hung out- and the ones who roamed the expansive park area were incredibly quiet, social, and friendly! I was a bit sketched out about feeding a kangaroo (again with the animals and teeth and biting), but they have very tiny teeth and were honestly less scary than some of the goats and sheep at our local farm that we feed. They were patient, and since they are a big attraction, I’m sure they are well fed, so they didn’t really freak out over the sight of food like some of the crazier animals I have seen at petting zoos. The kangaroos are so docile, we saw some people hunching over to take selfies with the kangaroos. My brother and I thought why not- and decided to snap our own! After walking through the kangaroos, we walked around the rest of the sanctuary. 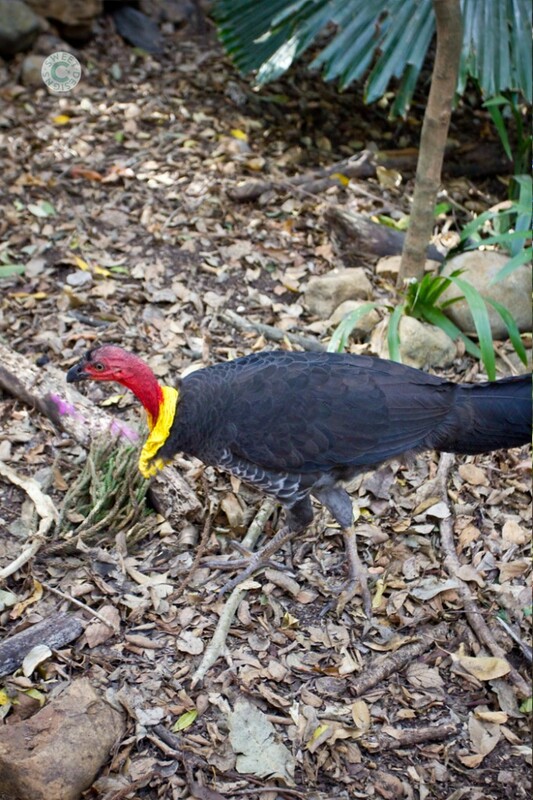 We ran into lots of animals along the paths- like lizards and wild turkeys. This lizard had quite an audience on the walkway. 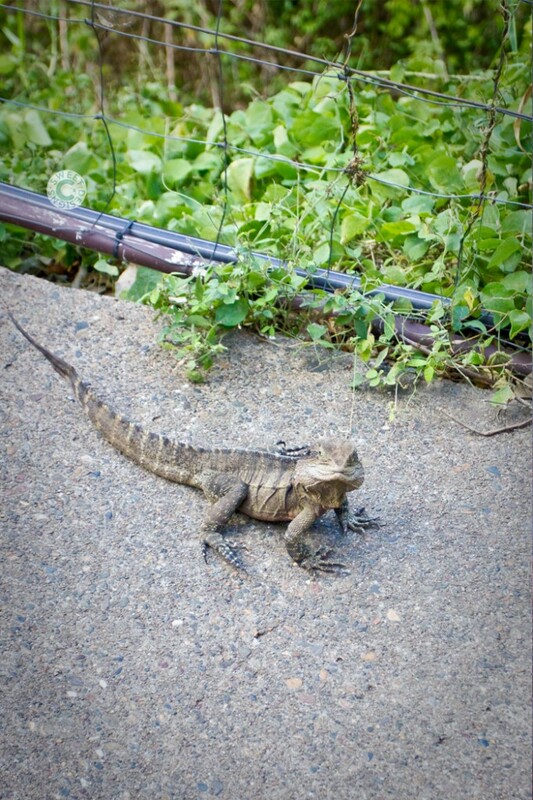 I’m not a huge fan of lizards, but he was pretty cool looking. And there you have it! If you ever find yourself in Brisbane (which, you should if you can swing it), you HAVE to head to Lone Pine. 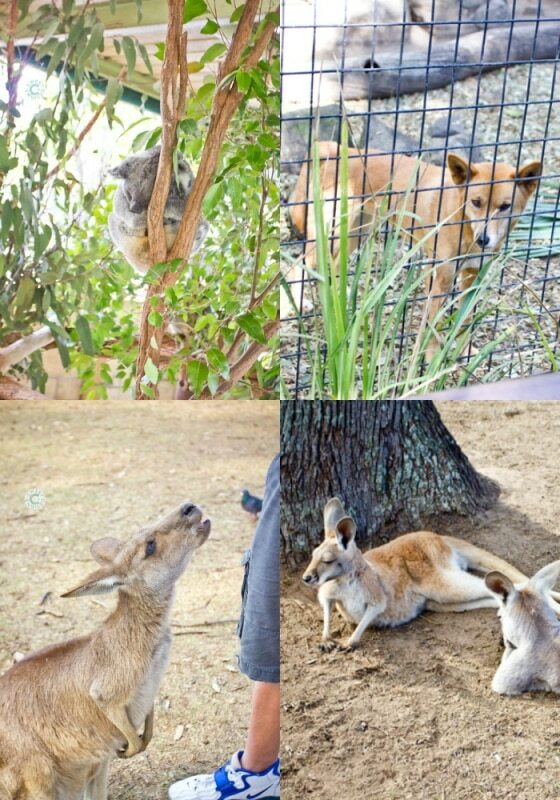 It is a beautiful place to learn about Australian animals and see them up close. It was a ton of fun, and the animals all looked happy and very well cared for. Even if you don’t have kids in your group, don’t miss this gem in Brisbane! So fun! I’ve been there! 🙂 My husband’s brother lives there and we went in 2009. It was before blogging, but I’ve wanted to share our adventures! Such a great trip! We can’t wait to go back & take the kids! 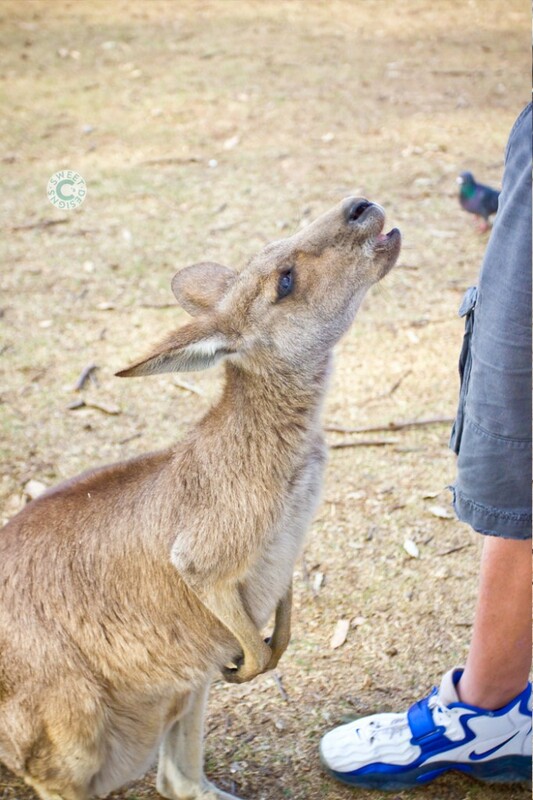 I enjoyed seeing the photos and reading about your experiences with the “wild” animals of Australia.